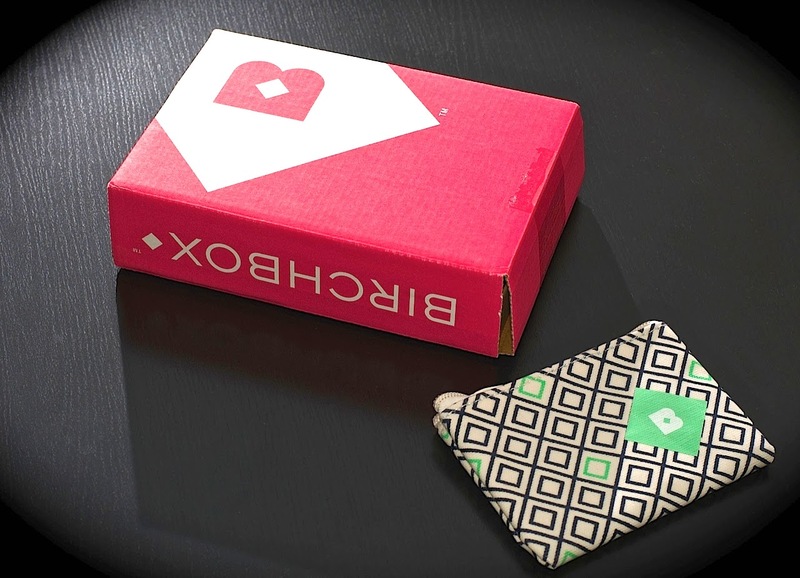 January's Birchbox finally arrived at boxfullove headquarters this weekend after its long, long (eight days long!) road trip south. I re-subscribed to Birchbox in December after taking a break for a few months, and got to take advantage of coupon code BBZIP, which earned me the cute little makeup zip pouch you see above. Both the Birchbox itself and the pouch were shipped together in a much larger box (not pictured), so for a moment before I'd opened the package I wondered if, unbeknownst to me, I'd won some amazing giveaway or prize package. Not quite! 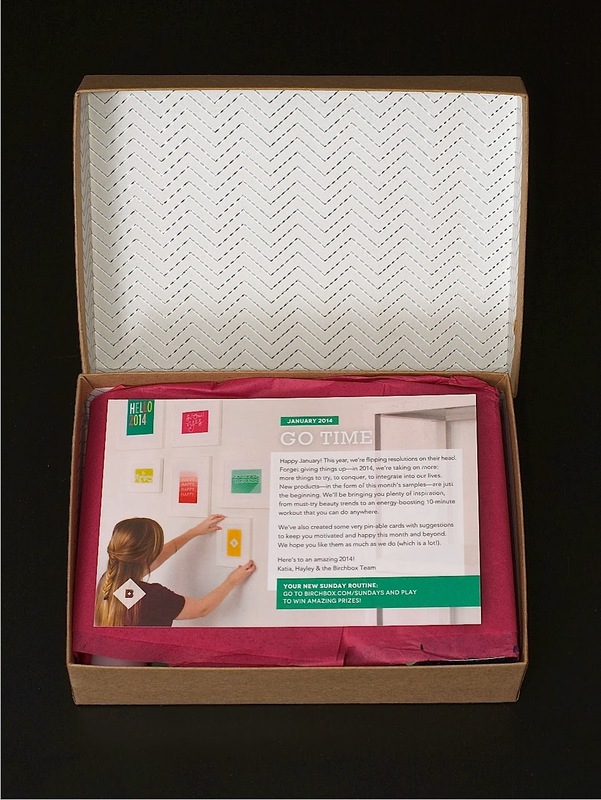 If you're new to Birchbox, it's essentially the subscription box that launched a thousand others (you can read about my gateway drug experience in the about page) wayyy back in 2010. At only $10 per month, it's one of the most affordable sub services out there. You can select to be billed monthly, or annually at a deeper discount. Each month, you'll receive a box of four to five generally sample- or deluxe-sample-sized beauty, grooming, and occasionally lifestyle products. After you test-drive each product, you can write a review in the Birchbox website in exchange for 10 points; once you've accumulated 100 points, you'll have earned a $10 credit towards any full-sized item in the Birchbox shop. And that's the program in a nutshell! There are two things, in my humble opinion, that really set Birchbox apart from other beauty sub services. First is their commitment to working only with the best-quality brands, from boutique (hellooo Juliette Has A Gun!) to luxe -- you'll never find stuff in your box that you could just pick up at the drugstore, which makes it that much more special. 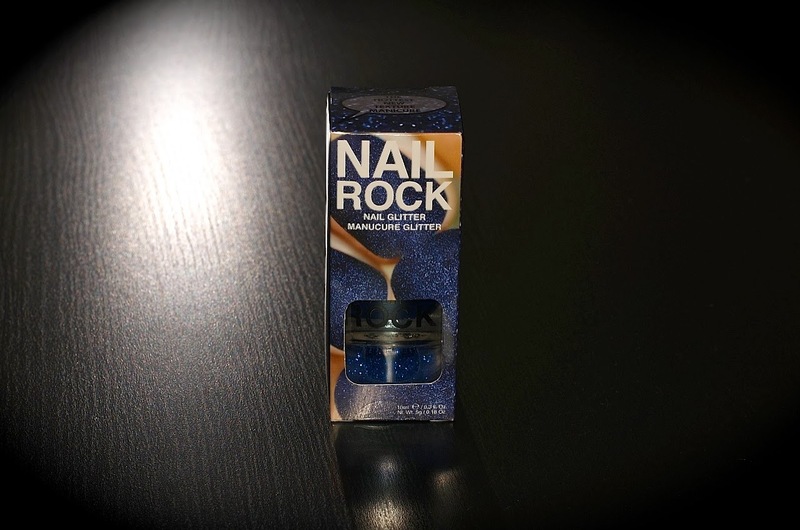 Second is their top-notch customer service: reps are unfailingly courteous, questions are answered promptly, issues are resolved efficiently, no questions asked (like the time my mail carrier misplaced some Zoya polishes not once, but twice). So that probably has something to do with their popularity and longevity in this super-saturated sub box market. But enough backstory: let's unbox January! Isn't the packaging pretty? This box is definitely getting repurposed. January's theme is "Go Time." On their insert, Birchbox explains that they'll be "flipping resolutions on their head" this year, taking on more rather than giving things up. If this means more samples in my boxes, I'm all for it! 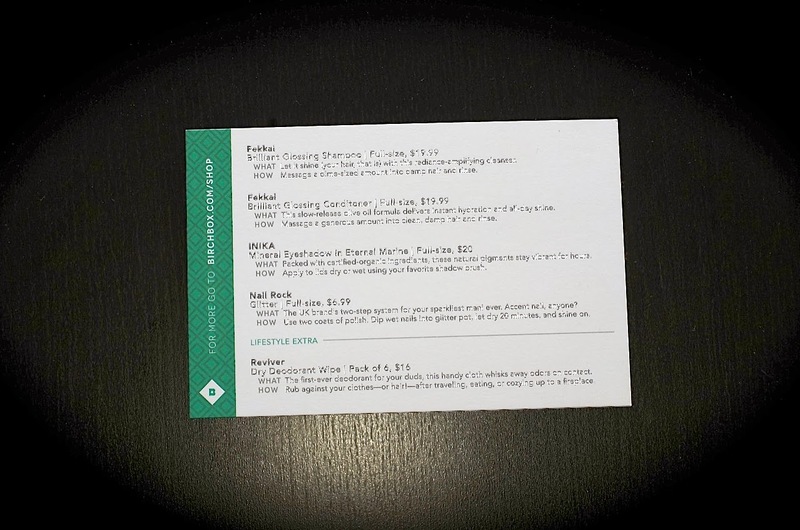 The back of the insert, as always, lists and describes the box's contents. 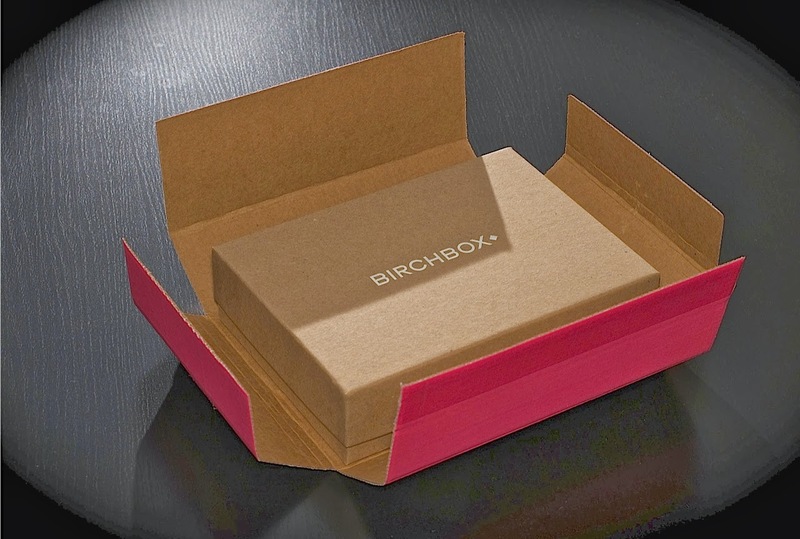 By the way, Birchbox curates more than 80 variations of its boxes each month, based on its subscribers' preferences. I only recently found out when one of my favorite blogs, Ramblings of a Suburban Mom, posted a step-by-step explanation on how to find your box number. You have to log into your account, click on "BOX" at the top and then select "Women's Box," and finally look at the last digit or two digits of the resulting URL, which will tell you your box number. I got box number 1 this month. One more step before unwrapping! 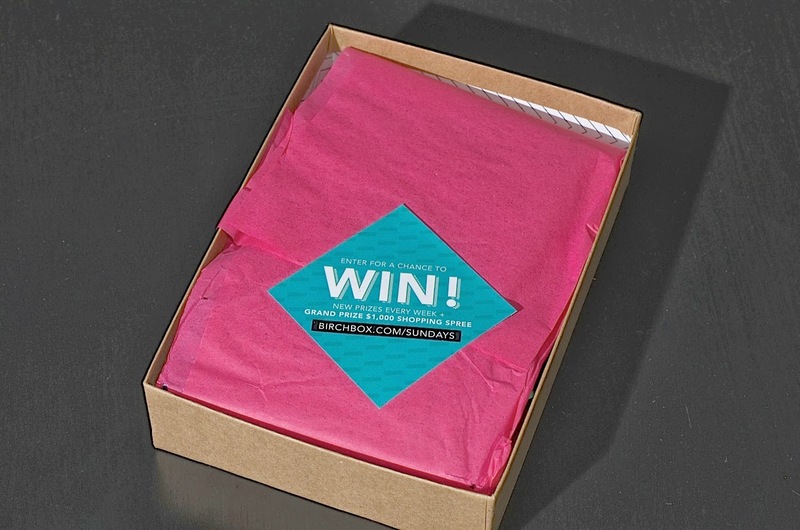 A reminder of Birchbox Sundays: click on the link, which you can visit once a week, and enter to win a $1,000 shopping spree and other BB goodies. The bluish box on the left is the Nail Rock package -- in my excitement, I forgot to flip it over before we photographed the goodies. I was really happy to receive the Fekkais: this is excellent, expensive, salon-quality haircare, plus my unruly hair is in serious need of glossing. 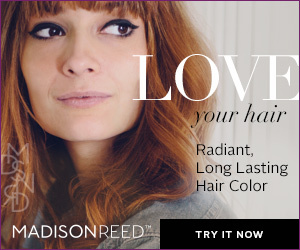 The samples are generous, and should last through two washes, possibly more if I had shorter hair (I don't). The wipes were the bonus lifestyle item. This was really unexpected, but kind of cool -- you can rub them on your clothes or hair to eliminate the smell of smoke, food, or, I suppose, BO. Another full-sized product! And one I'd been pining for after it started making its rounds on the blogs! Truthfully, I would have preferred the pink glitter version, but this guy, pink's vampier cousin, was my second choice. I can't wait to wear this out -- but I'll have to figure out how not to wash my hands for a few hours when I do. Beauty logistics! Finally, these unannounced little treats, tucked in at the bottom of the box, are detachable cards that are all but asking to be posted up around the house to keep going the momentum of all our new year's resolutions, plans, and goals. 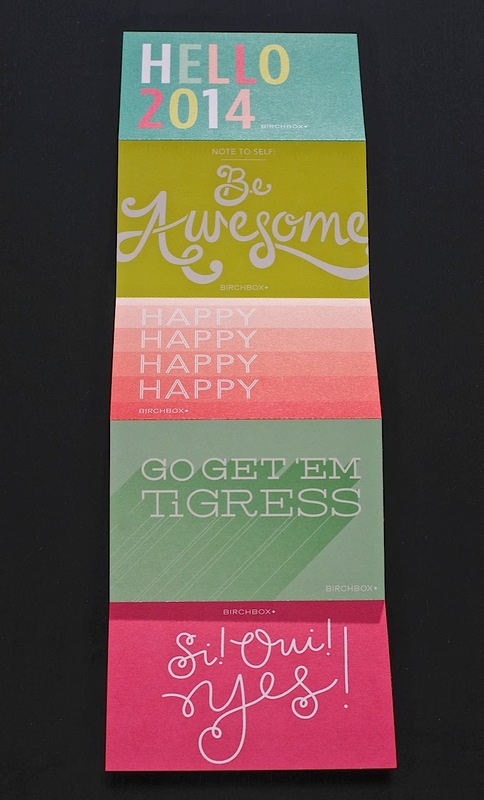 They're super cheerful and, if you flip them over, offer tips about staying happy, positive, and motivated. There you have it. I was incredibly pleased with the contents of this box. Plus, all tallied up, it has a retail value of abut $40. Pretty impressive! I can honestly say I'm going to use all the included goodies this month, and happily. If you want to subscribe to Birchbox or find out more about the service, feel free to click on any of the Birchbox links scattered throughout this post (they're affiliate links, so I'll earn some points towards boxes or BB products) if you'd like, and use code BBZIP at checkout to get your own little gift pouch, like the one I received. What about you guys: what did you get in your January boxes, and what did you think? I got exactly the same box - down to the color of nail polish! 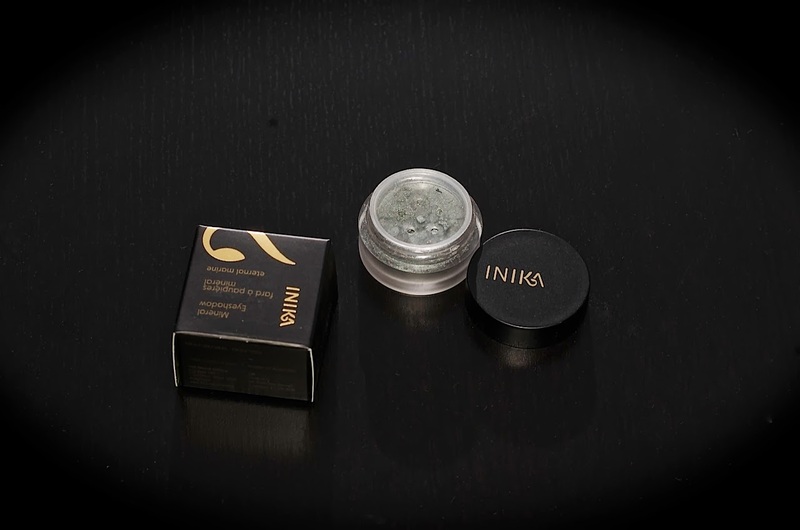 I was excited about the full sized products, too :-) Hope you enjoyed! I am still enjoying! The Fekkais are long gone and sorely missed, but I'm still working on the eyeshadow and trying to plan around that Nail Rock polish (so high maintenance!). :o) Thanks for the comment, Birchbox twin!